The uniforms worn by Royal Canadian Mounted Police are among the most recognizable out of any police force on the planet, official outfits which have gone virtually unaltered for more than a century. But now, in a "significant" move aimed at making their traditional winter garb nicer for animals, the RCMP has announced it's swapping out standard-issue fur hats. Officials confirmed to Canadian Television News that, beginning this winter, officers will instead be issued knit caps made out of Merino wool. Wool also isn't without controversy, but the decision has been praised as a step in the right direction. "The RCMP has listened to the views and concerns of the public and employees in regards to the use of animal products in police issued uniform and equipment," said spokesperson David Falls, in an email to the station. 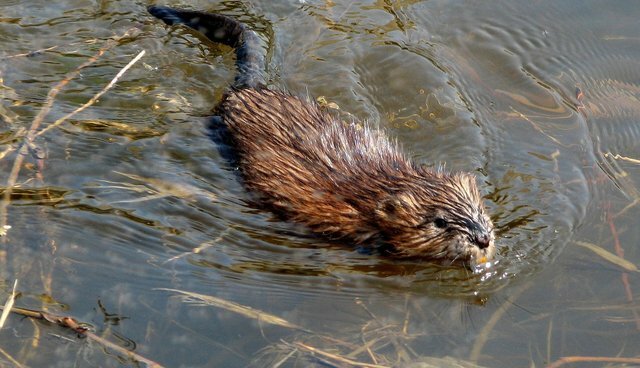 The decision to ditch fur comes after decades of campaigning by the Association for the Protection of Fur-Bearing Animals (APFA), a group that has long argued that harvesting the hide of muskrats is needlessly cruel. Each year, says the APFA, some 6,000 to 9,000 muskrats had been killed to be made into officers' hats. Many of the animals suffered slow deaths after getting caught in wire traps. After the announcement, the APFA hailed it as a victory, saying the move was "barely believable." "Since the 1970s, under the leadership of George and Bunty Clements, APFA has rallied against the RCMP for their use of inherently inhumane fur in their standard uniform," writes the group. "For every one hat issued in cold weather conditions, three or four muskrats had to die. But today, that is no longer true." The RCMP notes that it will continue to hold a reserve of muskrat fur hats for use in "extreme weather conditions," which the APFA says it hopes will be phased out once more humane alternatives are proven effective. Merino wool, which the new caps will be made from, isn't entirely without controversy. Some wool farms, particularly those in Australia, have been accused of cruelty for the rough manner in which sheep are shorn that can result in injury to the animals. "We would hope that they would take no animal products," says Nelson. "But in cases where they had to, we'd prefer of course that they be humanely sourced."